Netflix has announced there will now include an additional warning at the start of their 13 Reasons Why series and strengthen existing warnings for graphic episodes in the future. The online series, co-produced by Selena Gomez, has been a hit with Netflix viewers since its release, but the way in which the show depicts suicide and depression has been labelled as harmful or triggering by certain mental health professionals. 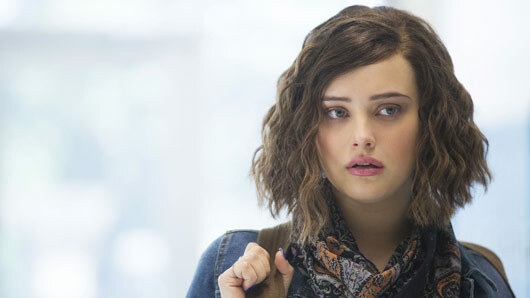 Although 13 Reasons Why has been praised by many viewers for its raw, emotional and unapologetic portrayal of teen suicide, others have expressed concern about graphic scenes depicting death and sexual assault, as well as the notion that others are to blame for the main character’s (Hannah) death. Netflix has now issued a statement saying the streaming site will add an additional warning to the start of the series about “graphic content”, and strengthen the warnings already in place for other graphic episodes. “There has been a tremendous amount of discussion about our series 13 Reasons Why,” said Netflix in a statement to The Hollywood Reporter. “While many of our members find the show to be a valuable driver for starting important conversation with their families, we have also heard concern from those who feel the series should carry additional advisories. Headspace was one mental health organisation that highlighted the “risky” and potentially “distressing” content in 13 Reasons Why. National manager of Headspace school support Kristen Douglas also described how “harmful suicide exposure” can result in “increased risk and possible suicide contagion”. “It’s not like car crashes or cancer. Irresponsible reporting of suicide can lead to further death,” she told Huffington Post Australia. “We need to talk more about youth suicide, but there’s a way of doing that and a way we can raise those concerns and have a range of awareness. 13 Reasons Why is available to view on Netflix.